Viber, the leading free instant messaging application in the Philippines, introduces the first Filipino band, the Itchyworms - to create their very own Viber sticker pack. Those who love to chat thru mobile phones and gadgets have more fun chatting through Viber with stickers created by the popular band themselves composed of Jugs Jugueta (Vocalist/Guitarist), Jazz Nicolas (Drummer/ Bassist), Chino Singson (Guitarist), and Kelvin Yu (Bassist). 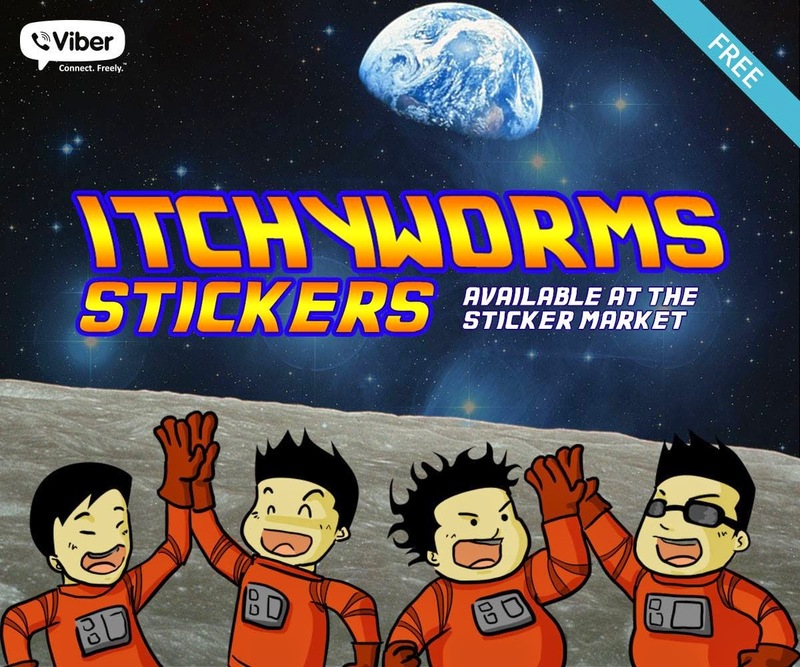 Itchyworms: Lost in Space Stickers, also known as #ItchyVibe, are perfect for Filipino group conversations. It was launched on July 29, 2014 through a fan gig dubbed as “The Itchyworms: Lost in Space,” at Route 196, a bar in Quezon City where live music act are being held. Itchyworms fans were treated to #ItchyVibe freebies and prizes from T-shirts to printed stickers and Viber Hours of violet-colored cocktails. Viber is a pioneering mobile messaging, voice and video service. Viber lets everyone in the world connect freely. Users can send free text messages, fun stickers, photos, videos and doodles, share locations anywhere in the world, make free HD-quality calls and communicate with Push-To-Talk. With Viber Out, users can make low-cost calls to any phone number around the world. Currently, the chat platform has over 300 million users in 193 countries. Viber is constantly innovating by introducing new platforms and adding fun new features. Viber is a Rakuten Group company. The Itchyworms are equally happy to partner with Viber. “We're so proud to say that we are the first Pinoy band to get a Viber sticker pack, and it's really quite surreal. We're just so happy and excited to start using the #ItchyVibe stickers,” Itchyworms co-lead vocalist Jugs Jugueta shared. After Itchyworms performed several songs of their own hits, an emerging band Cygnet performed their powerful original songs too. Formed in 2012, Cygnet is a Filipino Blues Rock funk band composed of Mavi Lozano (Lead Vocal/ Rythm Guitar), John Hiro (Back-up Vocals/ Lead Guitar), Josh Tulagan (Back-up Vocals/ Bass Guitar), and Mack Andres (Drums).